Military and aerospace electronics spans a vast array of complex applications, including communications, vehicle control, radar, electronic warfare and countless others. Although the applications are widely varied, there are similarities in the requirements as well. Typically these electronic systems, whether COTS (Commercial Off- the-Shelf) or custom developed for the application, share similar requirements for ruggedness, reliability, and precision. Our customers don’t have room for error, mission critical hardware test systems must perform as designed. Circuit Check provides military and aerospace testing solutions for ITA’s, Self-Test Fixtures and Automated Test Systems that meet the stringent needs of this marketplace. We know developers of military and aerospace electronics need a test solutions partner to help solve some of the most complex test challenges. Circuit Check partners with these developers to eliminate potential test risks and ensure the test system is built with the highest quality and reliability. Your programs are often required to run for 20 years or more; off the shelf test equipment was not designed with this in mind. Obsolescence is a never ending battle that Circuit Check can help you win. 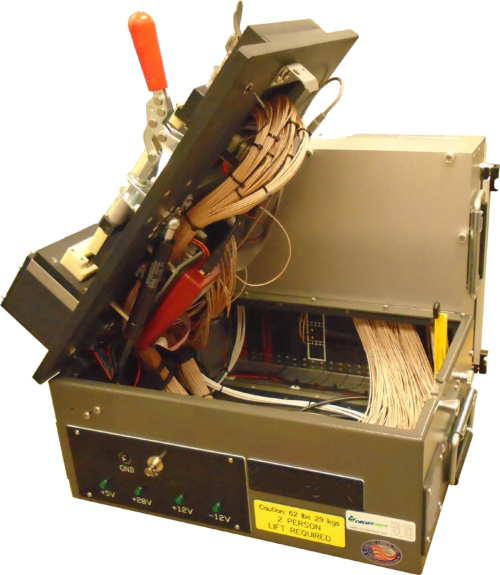 We specialize in taking older, obsolete test systems and bringing them into the present age with a design that makes future test equipment obsolescence much easier to overcome. Whether the test requires a simple or extremely complex ITA, Circuit Check is the unmatched leader having designed, fabricated, and delivered thousands of ITA’s in our 40 year history. From simple mechanical, pneumatic actuated to water cooled housings – we’ve seen it all. 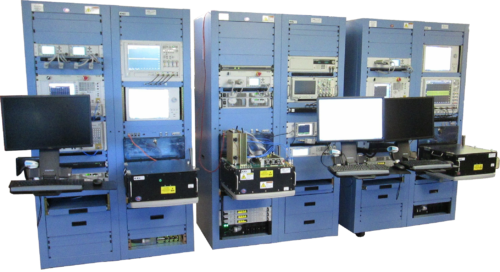 Circuit Check’s Engineering Services team provides full turnkey automated test solutions for electronic and RF / Wireless products in the military and aerospace community. Our Engineering Services team provides design for testability (DFT) consulting, requirements specification development, design, fabrication, system integration, installation, startup support, and sustaining services. Our experienced project managers, engineers, and technical staff work directly with our customers to ensure a successful project. A dedicated project manager is assigned to each project to ensure on-time, fast-turn and on-budget deliveries. Quality, reliability, and safety of your test systems is our top priority. 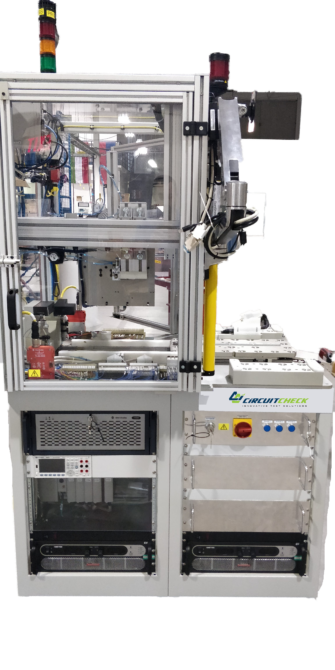 Circuit Check projects include specification development following an ISO 9001 compliant design process that defines intended uses, design requirements, and the overall design plan for the test system. Once approved, the system is then designed and built to meet the documented requirements. Finally, the completed system is verified and validated against original requirements to ensure all design requirements and intended uses are satisfied. This disciplined process provides documented traceability from requirement-to-result.